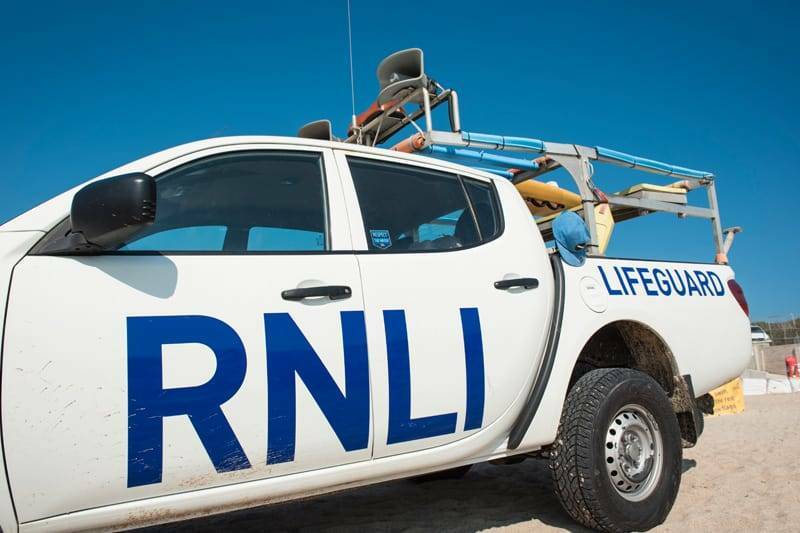 Our Lifeguard Trials were born out of a request from the RAF looking to provide their servicemen and women with a comprehensive course in watersports skills and beach safety activities that are rewarding and motivating. Now, with an irresistible balance of action packed, adrenaline-filled beach activities and invaluable life skills, the Lifeguard Trials ticks all the boxes for a unique group adventure! On arrival at the Newquay Activity Centre our team of friendly lifeguard qualified instructors will lead you down to Fistral beach where you’ll learn to perform some fundamental lifesaving skills that are part of the Internationally recognised beach lifeguard training course (SLSGB). The session will be pitched at a suitable level to suit the dynamic of your group. Depending on the tide, your preference of adrenaline levels and your area of interest, we’ll find the perfect coasteer for you. We have the North Coast Challenge and Adventure Gulley for the thrill seekers, the Heritage Coasteer for the cultured adrenaline junkies and the Eco Coasteer for environmentally minded to name but a few. Imagine clambering through old smugglers’ caves, climbing rocks & traversing cliffs, watching incredible marine life in their natural habitat, negotiating natural rapids and whirlpools, before attempting adrenaline fuelled sea cliff jumps! During your coasteer we’ll also stage a rescue scenario so as to give groups the opportunity to practice what they learned in the morning’s session. With the SUP moored just off the coast, teams will then devise a rescue & evacuation plan for our staged casualty. Our experienced instructors will be there for your safety, encouragement, and as a fountain of knowledge during the lifesaving, coasteering, stand up paddle boarding. Being in the water is second nature to them and you’ll definitely feel this energy and passion as they go the extra mile to give you a truly memorable experience. Drop us a line or give our team a call and we’ll arrange the best activity for you. Call 01637 877722, lines open from 8am-10pm. Range of instruction on rescue techniques, casualty management and first aid!